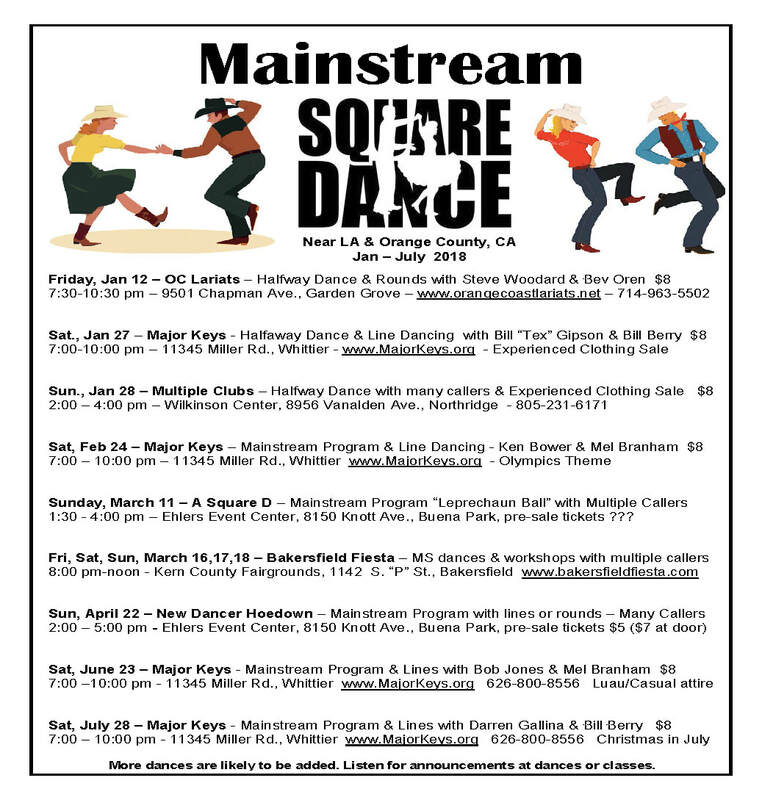 Major Keys uses an annual square dance lesson program that we call "2 and 1". 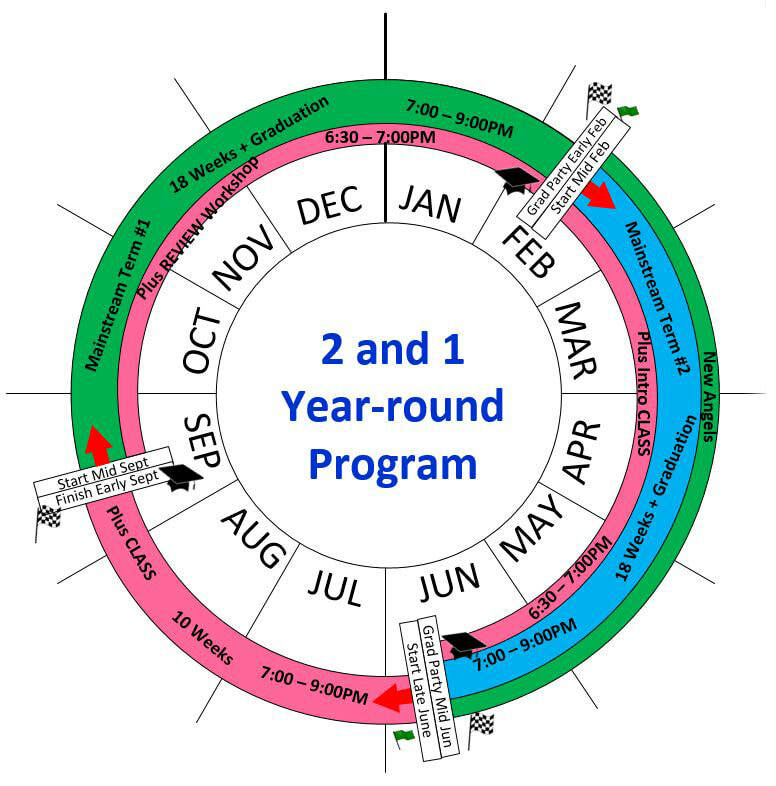 Following this plan, we hold two Mainstream class terms and one Plus class term each year. Accordingly, each class term culminates in a Graduation, twice each year to graduate new Mainstream dancers, and once each year graduating Plus level dancers. Mainstream graduates are offered membership in the Major Keys club. followed by a graduation dance party. followed by a graduation at our monthly Plus level dance in late September. Last session: February 1, 2018.
immediately before our Mainstream class. immediately before the Mainstream class. September - February. Major Keys hosts a Plus Review (workshop) 6:30-7:00PM, immediately before our Mainstream Class. This is intended to providing continuing Plus level practice for our class "Angels" and is provided at no additional charge for those Angeling at our Mainstream class. February - June. Major Keys hosts a Plus Intro Class 6:30-7:00PM, immediately before our Mainstream Class. This class will teach only 1 - 2 calls per week in the 30 minute period. While this term lasts 18 weeks, we don't expect this is sufficient time to learn all the Plus calls before the end of the term. The intention is to provide those who attend this term a big head-start on Plus calls before they enter the regular Plus class in June. This Plus level instruction is for our class "Angels" and is provided at no additional charge for those Angeling at our Mainstream class. Experienced plus dancers are always welcome.